The Wilwood Lever Style Proportioning Valve has six preset adjustment points actuated by moving a lever allowing racers to adjust brake bias during a race without having to look where the knob position is. The lever clicks into the six positions for positive adjustment and the bright red lever is easily seen in a busy racing cockpit. Lever can be rotated 180° for easy installation and mounting location. Ideal for oval track, road race, and off road racing where car and racing conditions change throughout the race. 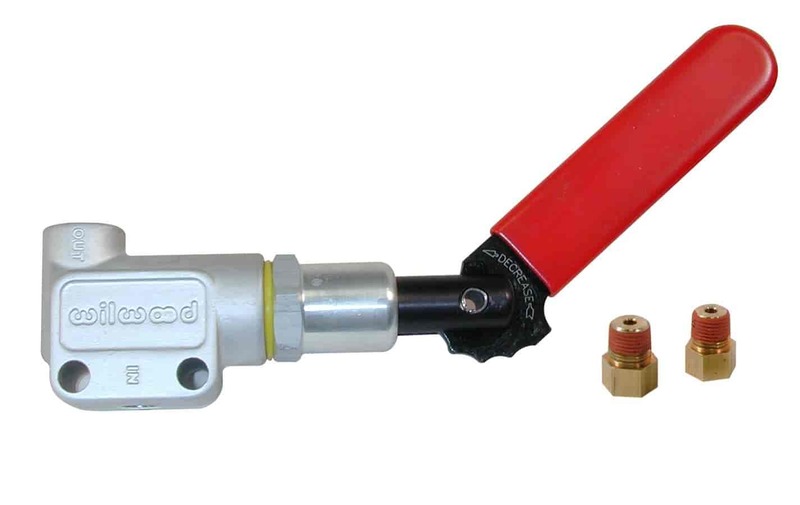 Pressure adjustment range is 100-1000 psi with up to 57% reduction in line pressure. Designed for circle track, road course and off-road applications.